Here’s all you need to know about the 31st match of BBL-8 between Melbourne Stars and Hobart Hurricanes. 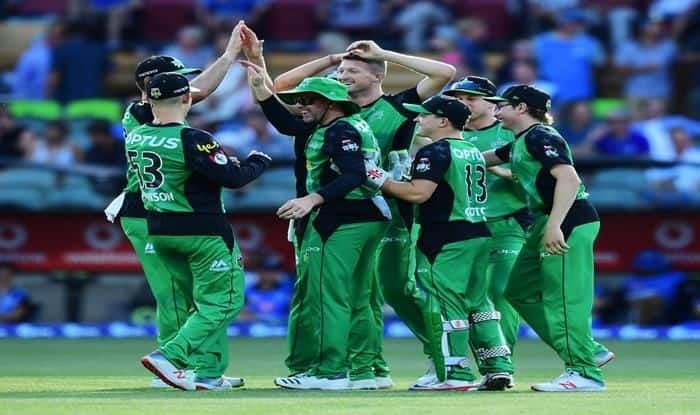 BBL 2018-19 Live Cricket Streaming, Melbourne Stars vs Hobart Hurricanes: The eighth edition of one of the most followed T20 competition across the world – Big Bash League has got off to an emphatic start. Table-toppers Hobart Hurricanes will be back in action after about a week off. The side has had a dream start to the tournament winning the first five games. However, the Melbourne Renegades came in their way and stopped them from making it a double hat-trick. Yet, with 10 points, it is still the Hurricanes who top the points table even though all the other teams have played at least seven games on an average. With an aim to bounce back after the last blooper against Renegades, Hurricanes will take on Melbourne Stars at the big ‘G. The Stars have suffered two straight losses against the Scorchers and the Strikers. They’ll also be keen on redeeming themselves with a good show in front of their home crowd at the iconic Melbourne Cricket Ground. What time does the Melbourne Stars vs Hobart Hurricanes match in the BBL-8 starts? The Melbourne Stars vs Hobart Hurricanes match in the BBL-8 starts at 1:45 PM IST, January 13 (Monday Afternoon). Where is the Melbourne Stars vs Hobart Hurricanes match in the BBL-8 being played? The Melbourne Stars vs Hobart Hurricanes match will be played at the BBL-8 at the Melbourne Cricket Ground, Melbourne. Which TV channels will live broadcast (in India) the Melbourne Stars vs Hobart Hurricanes match in the BBL-8? Melbourne Stars vs Hobart Hurricanes match in the BBL-8 will be live telecasted on Sony Sports Network in India. How to watch the free online live streaming of Melbourne Stars vs Hobart Hurricanes match in the BBL-8? The free online live streaming of Melbourne Stars vs Hobart Hurricanes match in the BBL-8 will be available on Sony Liv app and Jio TV. What are the probable expected playing XIs of Melbourne Stars vs Hobart Hurricanes match in BBL-8? Hobart Hurricanes Probable XI: Matthew Wade (wk/C), D Arcy Short, Alex Doolan, Ben McDermott, George Bailey, James Faulkner, Johan Botha, Jofra Archer, Clive Rose, Jake Doran, David Moody. Melbourne Stars Probable XI: Nick Larkin, Ben Dunk, Travis Dean, Glenn Maxwell (C), Marcus Stoinis, Dwayne Bravo, Evan Gulbis, Scott Boland, Jackson Coleman, Sandeep Lamichhane, Adam Zampa.